Dolphins are visible in many parts of the seas surrounding Scotland but never can they be seen from such a short distance as on Chanonry Point on the Black Isle. To my knowledge this is the only place on mainland Scotland where you can observe them like this. The Bottlenose Dolphins are particularly visible on an incoming tide so if you really want to see them you need to plan ahead. 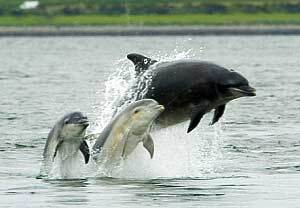 A quote from Wikipedia explains things: “While bottlenose dolphins can be seen off the point throughout the year, the chances of seeing them increase when their food supply increases, the peak times being when salmon are returning towards the two main rivers (the Ness and Beauly) which feed into the Moray Firth. The salmon come in with the tidal current which, once the tide starts to come in, can be extreme. If planning a trip, find tide details and pick days with midday low tides with the largest difference between low and high tide (spring tides, avoid the neap tides).” From my own experience I can say that I’ve been here four times, once in summer and the other three times in spring and autumn. So far summer proved to be the best time for me, that’s the only time I actually saw the Dolphins. Chanonry Point itself is very much worth a visit, even without the Dolphins. If you come from Inverness take the A9 and cross the Kessock Bridge, then follow the signs for Black Isle and Fortrose. In Fortrose follow the signs for Chanonry Point and Golf Club. The funny thing is that you actually have to drive over a golf course (beware of golf balls) to get to the end of this spit of land extending into the Moray Firth, much like Forth George on the opposite side. 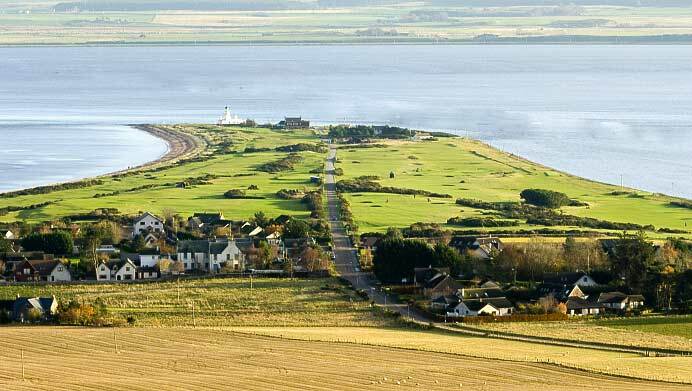 The golf course belongs to the Fortrose and Rosemarkie Golf Club. The lighthouse situated at the tip of the point was designed by Alan Stevenson and built in 1846. The lighthouse has been fully automated since 1984 and is now privately owned. There is a beautiful sweep of beach stretching from the tip of Chanonry Point back to Rosemarkie. The views from Chanonry Point include Fort George, Inverness and the Kessock Bridge. A Word of Warning!! 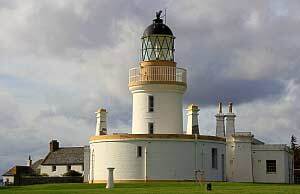 The Parking area near the lighthouse is extremely limited which causes congested roads and occupied parking spaces.Chanonry Point is easily accessed from both Fortrose and Rosemarkie by foot along the shore (with paths if the tide is in.) Both villages have parking and facilities. 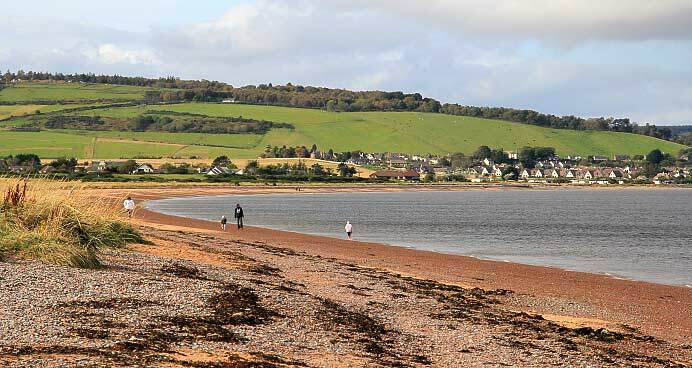 So it’s better to leave the car at the beginning of the road and either walk to Chanonry Point along the shore, which is a pleasant walk, or hire a bike from the Rosemarkie Beach Café and ride the Dolphin Mile.